This year’s international trade fair for heating, ventilation, air conditioning, measuring, regulation, sanitary and environmental technology Aquatherm Slovakia 2017 was a huge success! Our new ceiling swimming pool dehumidifier DRY Siren was presented to the professionals as well as the general public, receiving prestigious award Product of the year 2017. 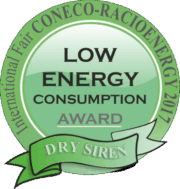 Presented for the first time to a general public at Coneco-Racioenergy 2017 exhibition fair, ceiling swimming pool dehumidifier DRY Siren has awarded a special Luxury Design Award 2017. 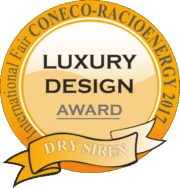 As prestigious, beautifully crafted and innovative design that reflects passion for advanced technology, DRY Siren was recognised as a highly intelligent product developed with the highest level of attention to detail and quality. 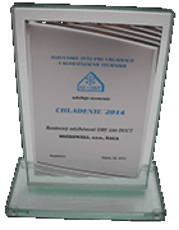 At the 24 th energy efficiency fair Racioenergy CONECO international fair, held in 2014 in Slovakia, Slovak Association for Cooling and Air Conditioning Technology, recognised Microwell’s product DRY 500 DUCT with an award. Our swimming pool dehumidifier DRY 500, being awarded in the past, received special recognition prize for its duct version, which is yet another example of maximum efficiency at work. Efficiency set the tone of the fair - CONECO was held under the slogan “Let’s Construct in Modern and Economic Way” - in which HVAC exhibitors were able to present themselves along with companies that primarily focus on energy-efficient technologies, and thus stressing the importance of understanding the global energy challenge through the lens of efficiency and sustainability. At 16th international trade fair for heating, ventilation, air conditioning, measuring, regulation, sanitary and environmental technology Aquatherm 2014 Microwell was awarded Product of the Year Award for our new swimming pool heat pump HP 1200 Compact PREMIUM. Award at Aquatherm is given to the best of the best in at HVAC competition. 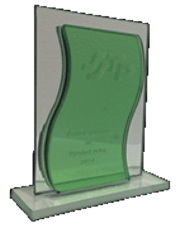 Selected by Slovak Society for Environment Technology winners in 11 categories was declared and the crown award is given to our product. The esteemed award celebrated the outstanding performance and top-of- the-class effectiveness HP 1200 Compact PREMIUM has to offer. Judges recognised the compact size and powerful 13 kW engine, capable of continuous, reliable operation of highest efficiency. From the very beginning of the production, HP 1200 has been one of the most sought after product. Exhibition Aquatherm Slovakia 2013 focused on refrigeration, air handling and conditioning traditionally awarded the best products for the upcoming year. 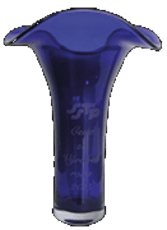 Amongst gold medals and acknowledgements, the Slovak Product of the year 2013 prize was being awarded. Microwell won the first place with swimming pool dehumidifier DRY 500 Metal. During the acceptance speech Microwell's general manager Ing. Tibor Kovacs expressed his appreciation and determination to succeed with Microwell products abroad. 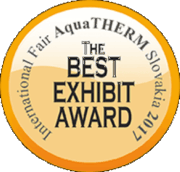 The first public presentation of Microwell and Microwell products took place on Aquatherm Slovakia 2005, International trade fair for heating, ventilation, air conditioning, measuring, regulation, sanitary and environmental technology. 7th Aquatherm Slovakia held in a city Nitra has proven to be very successful for our company. Microwell was awarded first place in Product of the year 2005 category with swimming pool dehumidifiers. Receiving a lot of interest and praises, our new model DRY 500 Metal won the prestigious award crowning our work and efforts for innovative products of superior performance.